Today I have some fun photos for you of my trip to Salt Lake City over the past weekend. 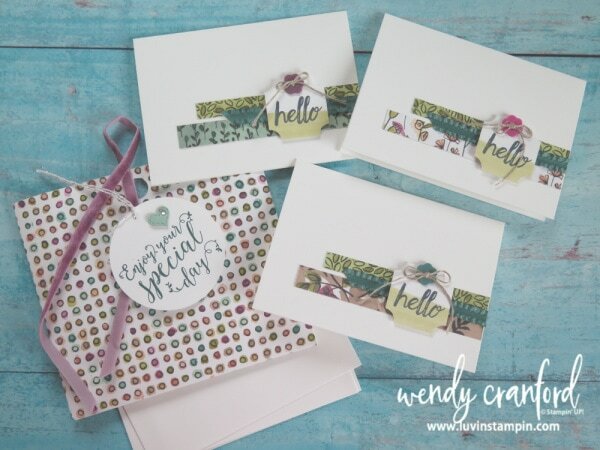 In April and November each year Stampin’ UP! 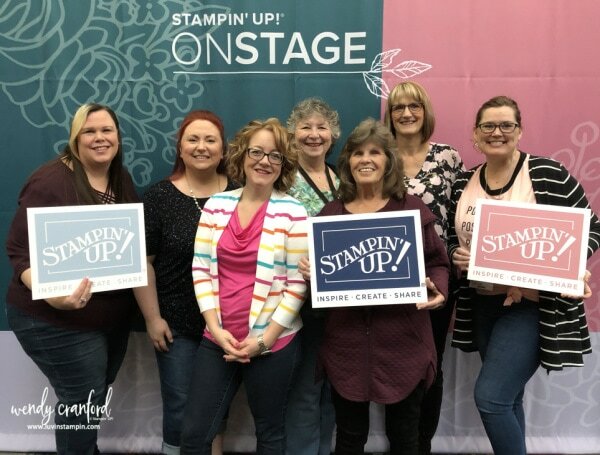 provides us with an opportunity to attend an event called OnStage. This event is TONS of fun. 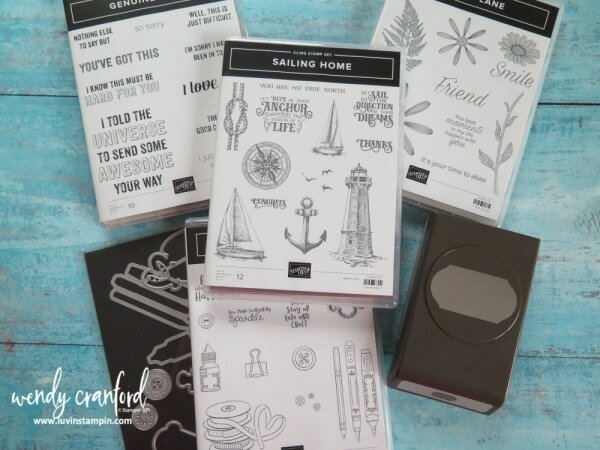 We get the newest catalog being released, we get fun new products to play with and we get to stamp. The photo above show all the free goodies I received for being part of OnStage and attending the event. Some good new goodies! These cards were the make and takes. Aren’t they gorgeous? 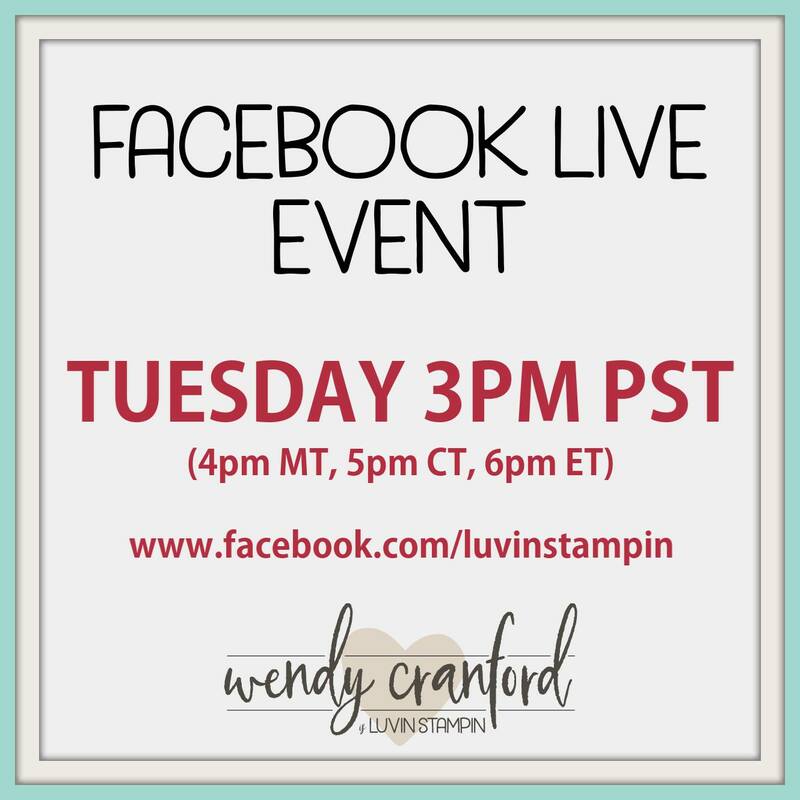 I am going to be showing all this stuff off today in my Facebook live event at 3pm PST. Remember to click LIKE and turn on the notifications so you will get notified when I go live. 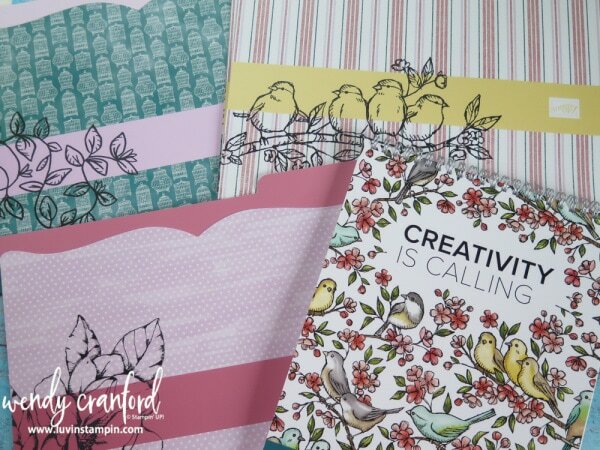 We also got some really cute file folders and a gorgeous notebook for free. Loved those little business tools. I was given this pack of cards by Donna Griffith from the home office. This was a little thank you gift from here and I thought it was so super cute. I didn’t have much time to take photos of the display boards but I snapped this one. 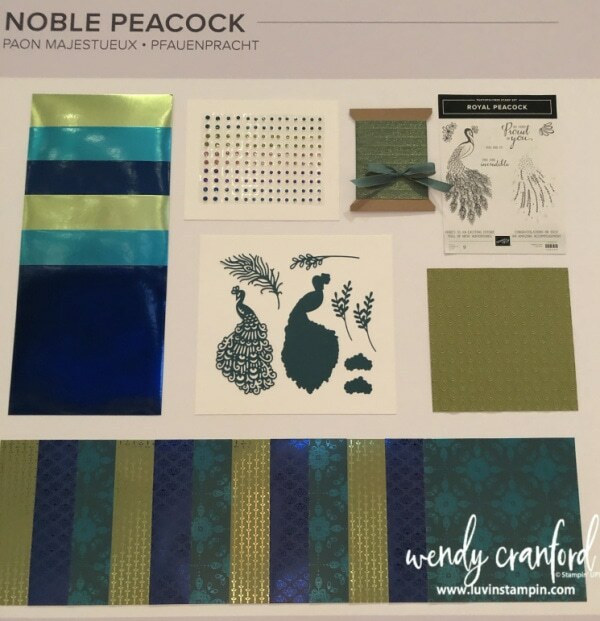 I love the new Peacock stamp set and dies that are being released with this new catalog. And of course I have to save the best for last. My beautiful team. These are the gals that were in Salt Lake with me. I love the back drop they provided for us and the cards we got to hold up in all the new in colors. I also had several team members attend the event in Charlotte NC. Unfortunately a few of them are not in this photo. But this is the majority of them. Really excited about my live event today! You rocked the house with your presentation! Love that you shared it — your sweater and blouse really popped and you kept our attention because you are just so engaging and funny. Would have loved to have seen you in person. 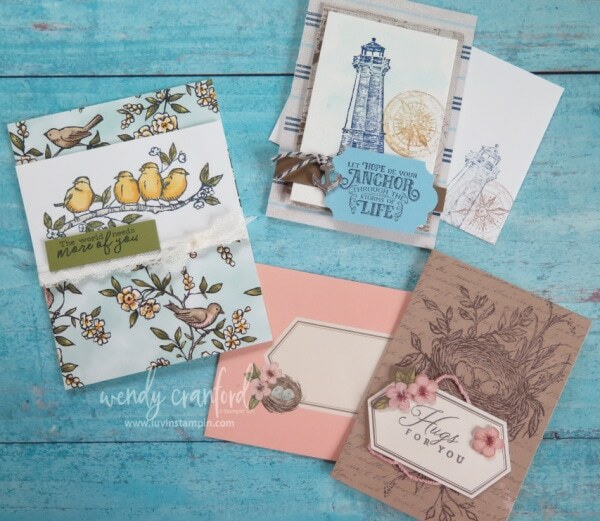 Thanks for sharing so many great videos — Love your style!